Mario Telò, Richard Higgot, Anne Weyembergh, Karel de Gucht and Alexander Mattelaer shared the panel “What Future for Transatlantic Solidarity: from Geostrategic Partnership to Competition? 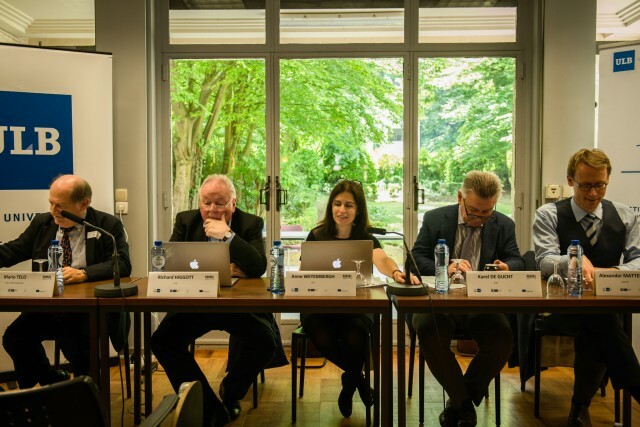 Scholars of the European Union across different disciplines have highlighted a variety of fundamental norms to critically assess the standards underpinning the process of European integration – whether legal, economic or political in nature. The attention given to fundamental norms has however varied across time and disciplines. One thing is clear: the bibliography is scarce on one of the central values of European integration since its origins 60 years ago: solidarity. The First Biennial Conference “EU in European Affairs – EUEA” hopes to contribute to change that. The two-day event “Controversial Approaches towards European Solidarity – From Burden Sharing to Integration,” represented an opportunity for an academic and policy oriented discussion on migration, asylum, security, jobs, education, health, inclusion, as well as on financial sustainability, tax regulation and economic governance, all through the lens of solidarity. For professor Herman Mark Schwartz, from the University of Virginia, babies are at the core of our pension system. In his presentation “Babies, bonds and buildings,” part of the panel “Responses to de Debt Crisis and Struggles over European Solidarity,” he explains why. Social disinvestment, says professor Ides Nicaise, from the KU Leuven, has deeply hurt vulnerable groups. In his research he’s found that social dumping and fiscal dumping in the EU has meant less resources for the social sectors with a serious impact on people’s lives. The concept of solidarity itself as a European value, defined by EC president Jean-Claude Juncker as “the glue that keeps our Union together,” went under scientific scrutiny during the conference. Policy makers and representatives of topic-related NGOs also had their word. For Julien Dijol, Deputy Secretary-General of Housing Europe, solidarity should be a European value. “If the EU wants to develop a social market economy,” says Dijol, affordable housing is a key dimension to take into consideration. Specific research topics dealt with by ENLIGHTEN (Banking Crises and Fiscal Sustainability, Deficit Reduction and Continuity of Public Services, Youth Employment and Inclusive Growth) provide a pertinent ground to debate around solidarity –and European approaches to it- in those contexts. How can deficit reduction occur without deteriorating the very elements that constitute the social pillar of the EU? On healthcare and health services, Cristina Chiotan, policy and advocacy leader at Eurohealthnet, disparities need to be better addressed because they lead to inequalities. The most pressing questions around solidarity were addressed by our speakers. Among others, is solidarity a solution or a challenge to the current tensions in EU politics? What forms of solidarity have passed the test of recent European crises? How does it manifest in the Union’s internal and external policies? 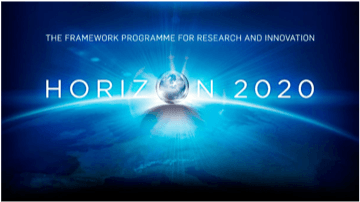 The association of the Jean Monnet Center at the Institut d’études européennes with the Horizon 2020 ENLIGHTEN collaborative project for the conference “Controversial Approaches towards European Solidarity –from Burden Sharing to Integration”- adds another dimension to the reflection and the discussions: the legitimacy of European governance in dealing with what Enlighten researchers have named fast and slow-burning crises. In its search for solutions, the EU developed mechanisms for governance in both the slow and fast-burning phases of its crises. The European Semester, one of the case studies of the Enlighten project, is a result of those efforts to enhance EU legitimacy. Professor Ramona Coman, from the IEE-ULB sheds light on the discussion. From the fiscal point of view, less hypocrisy and a more hands-on approach is needed, says John Christensen, Director of Tax Justice Network. To him, the way some countries compete on tax undermines the national sovereignty of other nation states. Solutions being currently discussed were also debated at #EUEA17. A European Universal Basic Income, for instance, could be a very straightforward way for the EU to put solidarity in practice. ULB/University of Warwick’s Phd Researcher François Denuit, says it would be the materialization of social citizenship. The refugee crisis, and the response by EU member states and at the supranational level has also been at the center of the debate in the last years. This crisis has unfolded in the challenging context of terrorism, and the counter-terrorist approach to police and justice cooperation, all while populist movements in Europe spread confusion in public opinion by mixing religion, terrorism, migrants and asymum seekers. Professor Philippe De Bruycker agrees on the pressures and disparities of approach to a crisis he belives is more due to the lack of preparation of the EU to deal with it that to the number of asylum seekers. A balance between the “sword and the shield” functions of the legal system is indispensable, according to IEE-ULB professor Anne Weyembergh. It is not quite the case, she says, for the power dynamics between the police and justice. And in the midst of this situation, cultural differences, religion, anything that exemplifies “the other” can be used to further sow distrust, and oppose solidarity. Ironies can result from the efforts to undermine solidarity, as ULB’s Post Doctoral Researcher Oriane Calligaro has found. For example, Greece has been at the center of the Eurozone crisis, but it is also at the core of unifying references when it comes to heritage. The United Kigdom has been a key voice in defence, security and military policy in the EU. After Brexit, says Cambridge professor Julie Smith, the future of the European foreign policy will be stronger if the relationship with the UK is robust looking forward.